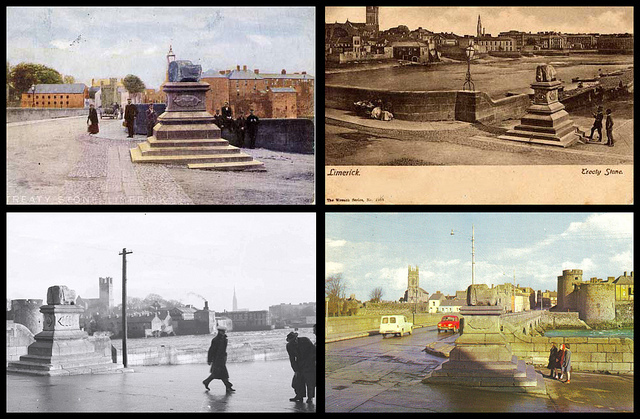 The following are 5 squared images of Limerick scenes taken from different angles over different decades, which give us a glimpse into how the city has changed or not changed over the years. 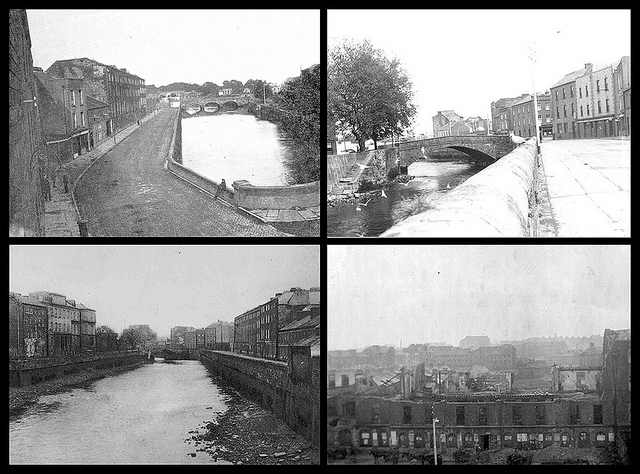 In these images you can see a view from Baal’s Bridge, a view to Baal’s Bridge, the Abbey River quite low and the burnt out shell of Charlotte’s Quay. 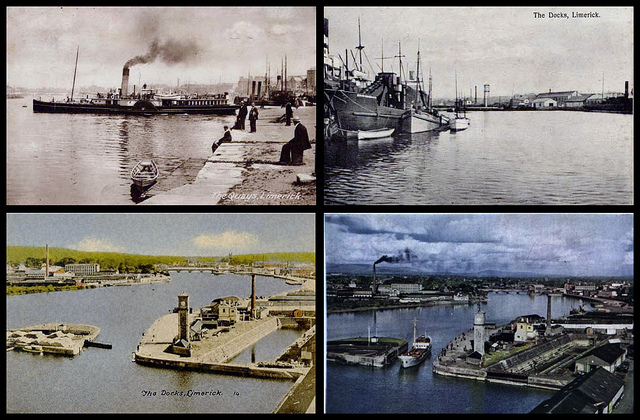 In these photographs you can see a steamboat leaving Steamboat Quay, as well as the Floating Dock and the Dock Clock from different angles. 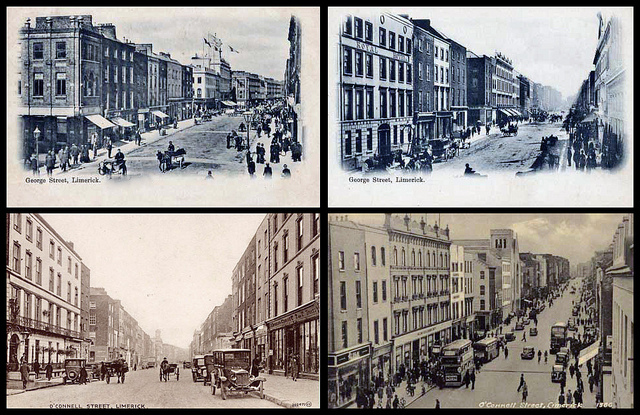 These images show George’s Street (the original images, in the top squares, were labelled as George Street) in 1900 to O’Connell Street in the 1940s, you can see the old Cruises hotel as well as the original Todds Building which was destroyed by fire. These photographs show the Treaty Stone in its old position beside Thomond Bridge before it was moved further down Clancy Strand to ease traffic issues. 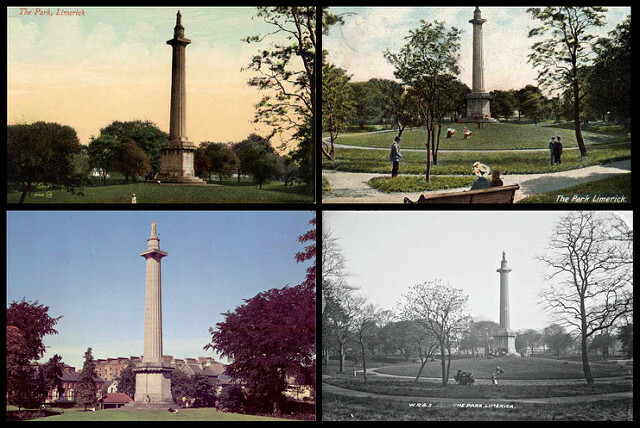 An iconic Limerick scene, the Thomas Spring Rice column which unlike most statues was erected during his lifetime in the People’s Park.